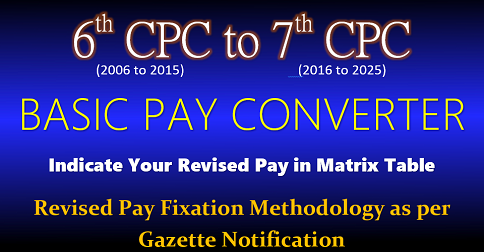 Subject:- Scheme of revision of pay of teachers and equivalent cadres in universities and colleges following the revision of pay scales of Central Government employees on the recommendations of the 7th Central Pay Commission (CPC). There shall be only three designations in respect of teachers in universities and colleges, namely, Assistant Professors, Associate Professors and Professors. Also, there shall be no change in the present designations in respect of Library and Physical Education Personnel at various levels. 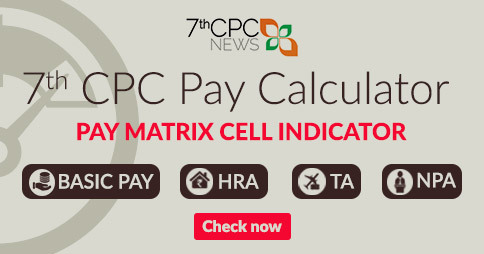 a) The formula followed by the 7th CPC is followed in the academic pay structure, moving from the concept of Pay Band and Academic Grade Pay to that of Academic Levels and Cells. b) The first academic level (corresponding to AGP of Rs.6000) is numbered as academic level 10. Similarly, the other academic levels are 11, 12, 13A, 14 and 15.
c) Each cell in an academic level is at 3% higher than the previous cell in that level. d) The lndex of Rationalisation (lOR) is 2.67 for present AGP less than Rs.10,000 and 2.72 for the AGP of Rs.10,000 and above. f) The Pay Matrix based on the above propositions on Academic Levels, Cells and Entry Pay is at Annexure-I. 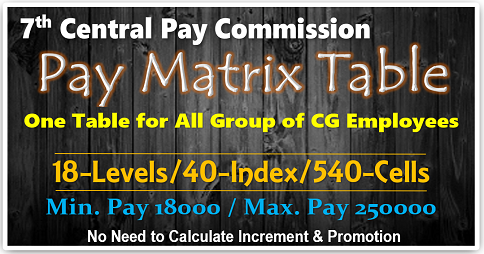 g) For fixation of pay of an employee in the Pay Matrix as on 1st January, 2016, the existing pay (Pay in Pay Band plus Academic Grade Pay) in the pre-revised structure as on 31st December, 2015 shall be multiplied by a factor of 2.57. the figure so arrived at is to be located in the Academic Level corresponding to employee’s Pay Band and Academic Grade Pay in the new Pay Matrix. lf a Cell identical with the figure so arrived at is available in the appropriate Academic Level, that Cell shall be the revised pay; otherwise the next higher cell in that Academic Level shall be the revised pay of the employee. lf the figure arrived at in this manner is less than the first cell in that Academic Level, then the pay shall be fixed at the first cell of that Academic Level.lf a situation arises whenever more than two stages are bunched together, one additional increment equal to 3 percent may be given for every two stages bunched, and pay fixed in the subsequent cell in the pay matrix. (i) Pro-Vice Chancellor: The pay of the Pro Vice Chancellor of a University, presently at existing AGP of Rs.10,000 in PB Rs.37,400-67,000/ HAG scale, shall be fixed at Academic Level 14/ Academic Level 15, as the case may be, with the existing special allowance of Rs.4000/- per month. (ii) Vice Chancellor: The pay of the Vice Chancellor shall be fixed at Rs.2, 10,000/- (fixed) (Figures obtained by using the IOR of 2.81 on 75,000/- and rounding off the figures to nearest five thousand), with the existing special allowance of Rs.5000/- per month. (i) Under Graduate Colleges: The pay of Principals shall be equivalent to the pay of Associate Professor i.e. Academic Level 13A with rationalized entry pay of Rs.1 ,31 ,400/-, with the existing special allowance of Rs.2000/- per month. (ii) Post Graduate Colleges: The pay of Principals shall be equivalent to the pay of Professor i.e. at level Academic Level 14 with rationalized entry pay of Rs.1 ,44,200/-, with the existing special allowance of Rs.3000/- per month. (i) The existing pay scale of person appointed as Principal shall be protected. (ii) Principals would continue to have lien in their main academic post where they would continue to get notional promotions while they are functioning as principals. After completion of their tenure as principals, they would go back to their academic post and draw salary due in such respective academic posts, and would not continue to have the Principals’ pay. 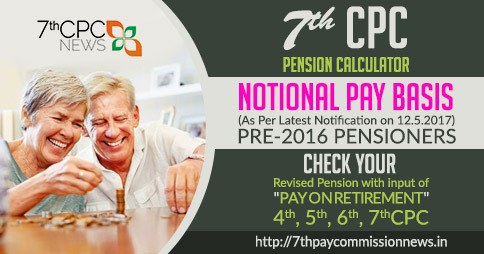 The date of implementation of the above revised pay shall be 1st January, 2016. The incentive structure is built-in in the pay structure itself wherein those having M.Phil or Ph.D. degree will progress faster under CAS. Therefore, there shall be no incentives in form of advance increments for obtaining the degrees of M.Phil or Ph.D.
(i)The annual increment is given in the Pay Matrix at 3%, with each cell being higher by 3% over the previous cell in the same level, rounded off to nearest 100. The annual increments to each employee would move up in the same academic level, with an employee moving from the existing cell in the academic level to the immediate next cell in the same academic level. 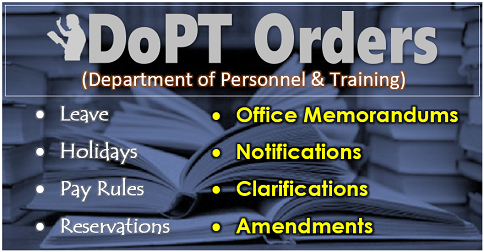 (ii)There shall be two dates for grant of increment namely, 1st January and 1st July of every year, instead of existing date of 1st July, provided that an employee shall be entitled to only one annual increment on either one of these two dates depending on the date of appointment, promotion or grant of financial up-gradation. On promotion, he would be given a notional increment in his existing Academic Level of Pay, by moving him to the next higher cell at that level. The pay shown in this cell would now be located in the new Academic level corresponding to the post to which he has been promoted. lf a cell identical with that pay is available in the new level, that cell shall be the new pay; otherwise the next higher cell in that level shall be the new pay of the employee. lf the pay arrived at in this manner is less than the first cell in the new level, then the pay shall be fixed at the first cell of that level. The decision on allowances of teachers and other equivalent academic staff of Universities and Colleges will be taken after consultation with the Ministry of Finance, Till a final decision on Allowances is taken after consultation with the Ministry of Finance based on the decision of the Government of India for Central Government employees, all allowances will continue to be paid at existing pay structure, as if the pay had not been revised with effect from 01 .01 .2016. The existing provisions on superannuation and reemployment of teachers shall continue. University Grants Commission shall study the consultancy guidelines prevalent in educational institutions like llTs & llMs, CSIR and other such institutions, and formulate detailed guidelines for consultancies including revenue sharing mechanism between the institution and the individual(s). The final decision on anomalies, due to implementation of recommendations of the last Pay Review Committee, will be taken after consultation with the Ministry of Finance. The Pay Review Committee (PRC) has recommended certain other measures on methods of recruitment, promotion, New Performance Assessment System, attracting & retaining talent, use of ICT in teaching, etc. These recommendations of PRC shall be considered appropriately by the University Grants Commission and necessary regulations will be issued by the University Grants Commission with the approval of the Central Government within a period of 3 months from the date of the approval/ decision of the Cabinet. (i) This Scheme shall be applicable to teachers and other equivalent academic staff in all the Central Universities and Colleges there-under and the lnstitutions Deemed to be Universities whose maintenance expenditure is met by the UGC. The implementation of the revised scales shall be subject to the acceptance of all the conditions mentioned in this letter as well as Regulations to be framed by UGC and amendments thereof in this behalf. Universities implementing this Scheme shall be advised by UGC to amend their relevant statutes and ordinances in line with the UGC Regulations within three months from the date of issue of this letter. (ii) This Scheme does not extend to the cadres of Registrar, Finance Officer and Controller of Examinations for which a separate Scheme is being issued separately. (iii) This Scheme does not extend to the Accompanists, Coaches, Tutors and Demonstrators. Pay of the said categories of employees shall be fixed in the appropriate relative Level to their existing Pay in each university/ institution corresponding to such fixation in respect of Central Government employees as approved by the Central Government on the basis of the recommendations of 7th Central Pay Commission. (a) Financial assistance from the Central Government to State Governments opting to revise pay scales of teachers and other equivalent cadre covered under the Scheme shall be limited, by way of reimbursement, to the extent of 50% (fifty percent) of the additional expenditure involved in the implementation of the pay revision, for the universities, colleges and other higher educational institutions funded by the State Government. (b)The State Government opting for revision of pay shall meet the remaining 50% (fifty percent) of the additional expenditure from its own sources. (c) The proposal for reimbursement on account of pay revision in State funded universities, colleges and other higher educational institutions shall be submitted in the prescribed format by the State Governments. The state bills prefened by the State Governments for reimbursemenl during 2017-18 and 2018-1 9 would be met to the extent of 50% of additional financial impact during these two years. There would be no central assistance thereafter. (d) Financial assistance referred to in sub-clause (a) above shall be provided for the period from 01.01 .2016 to 31 .03.2019. 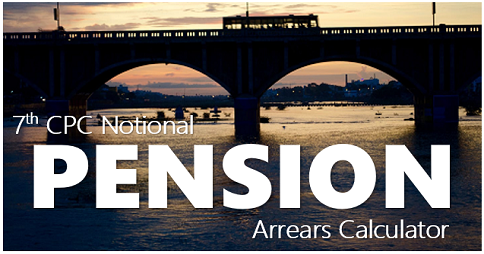 (e) The entire liability on account of revision of pay scales etc. of university and college teachers shall be taken over by the State Government opting for revision of pay scales with effect from 01.04.2019. (f) Financial assistance from the Central Government shall be restricted to revision of pay scales in respect of only those posts which were in existence and had been filled up as on 01.01.2016. (g) State Governments, taking into consideration other local conditions, may also decide in their discretion, to introduce pay higher than those mentioned in this Scheme, and shall give effect to the revised bands/ scales of pay from 01.01.2016; however, in such cases, the details of modifications proposed shall be furnished to the Central Government and Central assistance shall be restricted to the Pay as approved by the Central Government and not to any higher pay fixed by the State Government(s). (h) Payment of Central assistance for implementing this Scheme is also subject to the condition that the entire Scheme of revision of pay scales, together with all the conditions to be laid down by the UGC by way of Regulations and other guidelines shall be implemented by Stale Governments and Universities and Colleges coming under their jurisdiction as a composite scheme without any modification except in regard to the date of implementation and pay scales mentioned herein above. 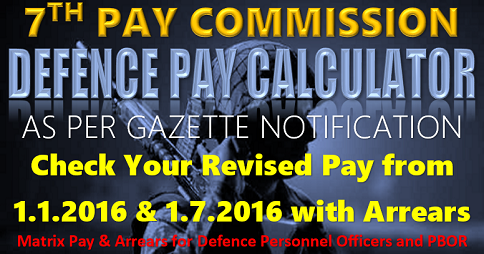 (i) The revised Pay and revised rates of Dearness Allowance under this Scheme shall be effective from 01 .01 .2016. (ii) Payment of arrears may be released by Central Universities and Centrally funded Deemed Universities after the funds for the purpose is provided by the Ministry of Finance and released to the Universities through the UGC. (iii) Payment of arrears up to 40% of total arrears shall be made to State Governments for State funded Universities, colleges and other higher educational institutions during the current financial year 2Q17-18. (iv) An undertaking shall be taken from every beneficiary under this Scheme to the effect that any excess payment made on account of incorrect fixation of pay in the revised Pay Level or grant of inappropriate Pay Level and Pay Cells or any other excess payment made shall be adjusted against the future payments due or otherwise to the beneficiary. (v) The revised pay in the relevant Level and Cell together with the applicable allowances including arrears of salary as mentioned above shall be paid to all eligible beneficiaries under this Scheme pending issue of Regulations by the UGC. 19. Anomalies, if any, in the implementation of this Scheme may be brought to the notice of the Department of Higher Education, Ministry of Human Resource Development, for clarification/ decision of the Central Government. 20. This issues with the concurrence of internal Finance Division vide Dy. No.3738/lFD dated 2nd November, 2017. During implementation of 6th pay, I did not got promotion as associate professor. because I was not completer 3 years as Lecturer (Selection Grade). I was put in scale of 15600-39100 with AGP of Rs. 8000. But as per GR of 6th pay, I was supposed to be promoted as associate professor once I complete 3 years as Lecturer (Selection Grade). Nearly 10 years have been gone, till now, no promotion is given. There are many people having issue similar to my case. 7th pay GR should contain “Career Advancement Scheme” with promotion from level 12 to level 13A with corresponding Rationalized entry (number of years of increments). (i) The existing pay scale of person appointed as Principal shall be protected.=> kINDLY EXPLAIN IN WHAT WAY IT WILL BE PROTECTED? PLEASE ENLIGHTEN ME.